Lieutenant Phillips was born in California on 24 October1928 and died on 31 July 1951. He is buried in Section 15 of Arlington National Cemetery. 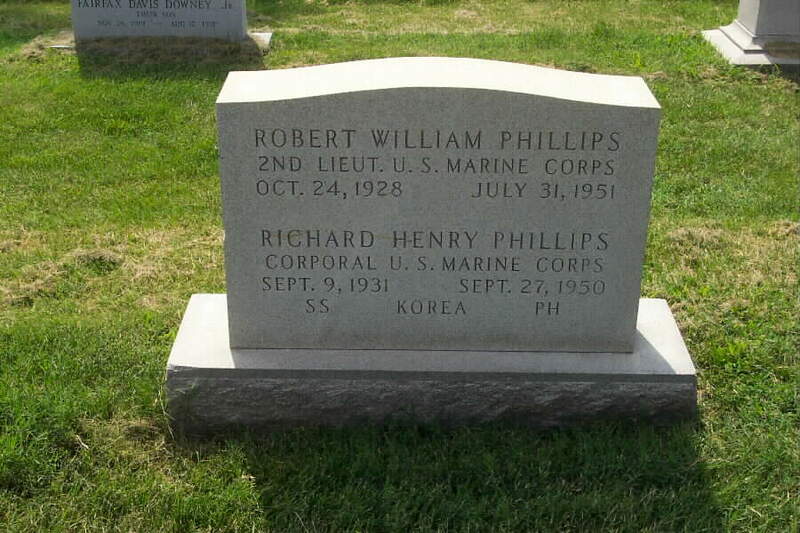 Buried with him is his brother, Richard Henry Phillips, Corporal, United States Marine Corps, who was born in Calironia on 9 September 1931 and who was killed-in-action in Korea on 27 September 1950. There is no record of Lieuteant Phillips having been killed in the Korean War and research regarding him continues.